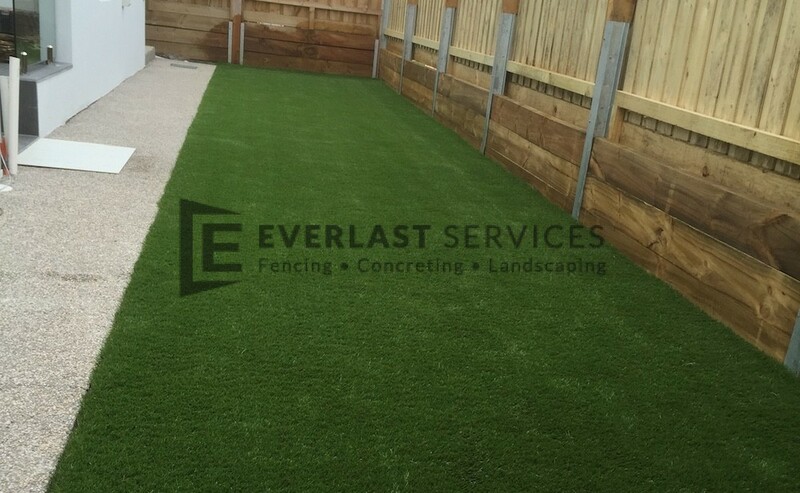 The team at Everlast Services (formerly known as Everlast Fencing) are experts in landscaping. 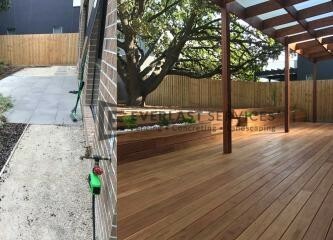 We understand the importance of a beautiful backyard to compliment a beautiful home and that’s what we gave this house in Keilor Downs. The customer wanted to liven up their backyard and we suggested the installation of a strip of our top-of-the-range lush, synthetic grass. We were able to provide this quality product at a far reduced price due to our purchasing power and relationship with the provider. The product we installed far exceeded the owner’s expectations—they simply could not believe how real the grass looked. We communicated with the homeowner through every step of the project and our extensive consultation allowed us to choose the best solution for our client’s needs. We knew that they wanted a naturalistic design element but that the family’s busy schedule would mean that they needed something that was easy to maintain. Our synthetic grass solution looks completely natural and requires absolutely no maintenance. It won’t brown off in the summer and it won’t get muddy in the winter – our synthetic grass installations are perfect for Melbourne’s temperamental climate. 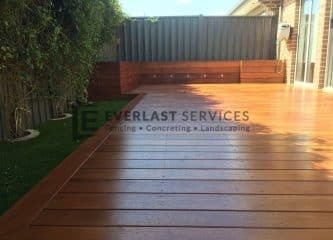 During the completion of the project, Everlast Services lived up to our reputation of delivering everything we promise and delivering it on time. 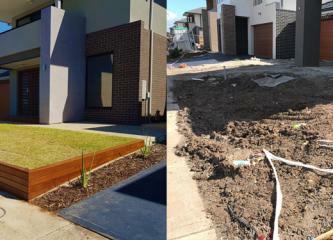 The owner couldn’t believe how quickly our team worked at levelling and preparing the area. Our client was thrilled that we took care of everything, from purchasing the materials to the clean up – they didn’t have to lift a finger. We always feel honoured when a customer chooses us to deliver their vision. We know that what we leave behind will be a part of your life for many years into the future and we take this responsibility seriously. That’s why we are only satisfied with perfection. We make sure the entire working area is spotless before we hand it over, so you can enjoy your new space immediately. The owner is looking forward to spending the summer in his new backyard and can’t believe how much the synthetic grass has improved the entire property. The family loves looking out the window and seeing that beautiful, deep patch of green and we love the fact that we were able to fulfil our client’s vision.